Dr Mari's Faith Stop: Announcing My Book Release! 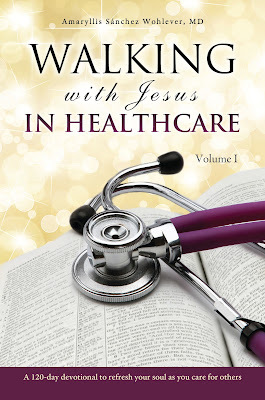 It is with great joy that I announce the release of my new book for healthcare professionals and caregivers, Walking with Jesus in Healthcare! This 120-day devotional will inspire, encourage, and empower all who care for the physical, emotional, and/or spiritual wellbeing of others. 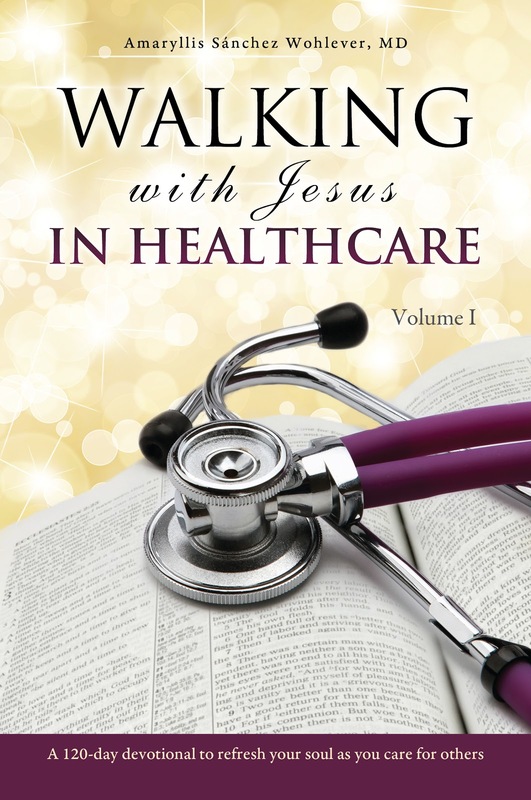 It is written for doctors, nurses, Hospice workers, chaplains, counselors, dentists, therapists (of body and spirit), MA's, NP's, PA's, ancillary staff in hospitals and clinics, technicians, and all caregivers! We walk through the entire Gospel according to Luke (the physician) to learn from the Ultimate Healer how to live a prayerful and powerful life of service in healthcare and beyond. The book released this week and is now available. It would be a wonderful gift for a friend or loved one in healthcare this Christmas! You may visit my author website for more details and ordering information. You may also contact me through that site for any questions. Join me in thanking God for the privilege of serving Him and His people in this way, and pray that all who read it will come closer to God. Thank you! For more information, visit my website. Spread the word! A Christmas Message: The Grace of God is Here! Advent Reflections: What's at the Center?